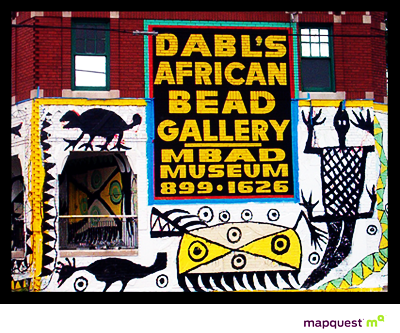 MBAD African Bead Museum builds and organizes collections of beads, beadworks, textiles, sculptures and other cultural relics which exemplify the vastness of the African people's material culture. With this focus, the museum is committed to presenting exhibitions, publications, and public programming, as well as serve as a resource center. Bead Gallery Hours: 12pm to 7pm Mon-Sat. The mission of Artist Village and Public Art Workz (P.A.W.Z.) is to create bold, innovative community redevelopment projects that use the arts, culture, creativity and innovation, as a catalyst for reinventing and revitalizing the communities of Old Redford and Northwest Detroit, Michigan, into a multi discipline, arts, education, entertainment and cultural community. is a studio and school, founded in 1903. The studio is known for its iridescent glazes. Today Pewabic Pottery is a multifaceted institution with active and growing education, exhibition, museum and design and fabrication programs. Pewabic fabricates heirloom quality architectural tiles for public and private installations, gift and commemorative tiles, vessels, gardenware, ornaments and both reproductions and adaptations of its historic designs.